This is Ours is a workshop and book program that uses visual literacy and community engagement to promote deep reflection on one’s own environment. Through lessons in poetry, digital photography, painting, interviewing, composition writing, and storytelling, student participants share their local knowledge and values in an unadulterated and authentic way. The students’ vibrant writings and images are used to create a rich publication that becomes part of the This is Ours series of books from diverse communities around the world. As the students discover the multiple platforms that they can employ to communicate with within and beyond their locality, they feel increasingly empowered to use their voice to participate in a global dialogue. Pasadena, California is an ideal location for a This is Ours workshop and publication. Nestled in the San Gabriel Valley and in the northeastern part of Los Angeles Country, this small city is considered part of the city of Los Angeles while having its own distinct culture and landscape. When launching this book project in this very vast and culturally diverse region, e2 education & environment knew our participants would offer a wide-range of perspectives. "As a member of the faculty of Polytechnic School, I witnessed as our independent school campus transformed into a dynamic summer enrichment program for Pasadena Unified School District students. PFS (Partnership for Success! ), the organization charged with running this academic summer program, brings together talented and motivated students from diverse backgrounds, and its high school-aged participants on the Polytechnic School campus hail from the four PUSD high schools (John Muir High School, Marshall Fundamental Senior School, Blair School and Pasadena High School). With a mission to help its students “realize their full academic and personal potential in a setting that fosters community, collaboration and confidence,” PFS students would indeed develop vital global competency skills through the This is Ours curriculum. The rich dialogue that took place in our brainstorming session revealed that this collaboration would include the eloquent voices of deep thinkers who care deeply about the betterment of humanity and the earth. 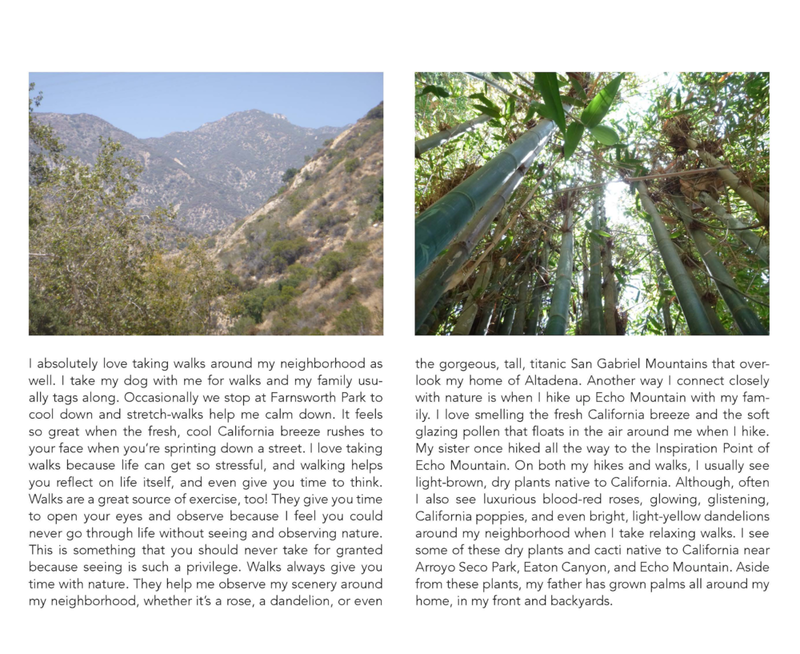 While participants’ experiences of Pasadena/LA varied, their shared values soon emerged, and developed into the book’s five chapters: Art, Community, Culture, Landmarks and Nature. Our discussions of images and tales and our peer review of our illustrations, photography, anaphora poetry and written compositions prompted students to carefully consider how tell a story in a compelling and layered fashion. To further connect with their respective subjects, students embarked on site visits throughout Los Angeles and the San Gabriel Valley where we encountered many generous people who shared their stories with us. The riveting stories from former gang members at Homeboy Industries, employees at the Arboretum, community elders, and other interviewees helped the group further clarify what should be held sacred. Our student submissions illuminate the stark contrasts that can be found in LA County -- gritty urban structures juxtaposed with majestic botanical gardens, vociferous and colorful murals next to the Dutch and impressionist masterpieces, and the middle and working class neighborhoods teeming with activity alongside the iconic stately homes inhabited by the stars. Most importantly, this book has an aspirational quality that prompts the reader to move beyond the superficial and remark the strength in Los Angeles’ pluralism."